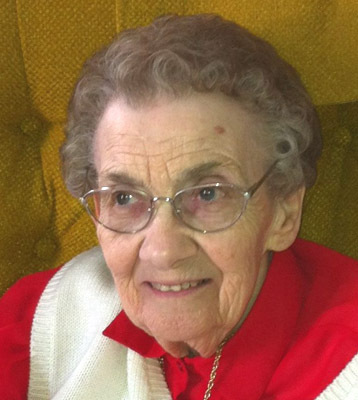 S. LAVERNE MARKS AUSTINTOWN – Funeral services will be Saturday at 10 a.m. at the Lane Family Funeral Homes, Austintown Chapel, for S. Laverne Marks, 89, who passed away Saturday morning at St. Elizabeth Boardman Health Center. Laverne was born Dec. 17, 1922, in Johnstown, Pa., a daughter of the late Frederick and Verna (Anstead) Brehm. A homemaker, she graduated from Armagh Public School. During World War II, Laverne worked in Washington D.C. for the Navy Department. She was a member of the Four Mile Run Christian Church, the Bible Friends Sunday School, and The Women’s Christian Fellowship. She sang in the choir for many years and also sang in duets, trios, and solos for weddings. She was a charter member of the Meander Chapter O.E.S. No. 583, and served as the Second Worthy Matron in 1979, and Deputy Grand Matron for Eastern Star 1985 in District 2. In her spare time, Laverne enjoyed reading, needle crafts and flower gardening. Her husband, J. Ernest Marks, whom she married Sept. 26, 1942, passed away March 1, 2011. Laverne will be sadly missed by two sons, Kenneth (Sandra) Marks of Quakertown, Pa. and David (Rebecca) Marks of Austintown; five grandchildren; and 11 great-grandchildren. Besides her parents, Laverne was preceded in death by her brother, Roger Brehm. Memorial contributions may be made to Hospice of the Valley, 5190 Market St., Boardman, OH 44512, in Laverne’s name. Please share your memories of Sara Laverne.